This article originally ran in the On Chess column on the St. Louis Public Radio website. On Saturday, Jan. 23, a chess tournament was hosted in the Chess Club and Scholastic Center of St. Louis. No grandmasters at this one. Goddard School students age 3 to 5 participated in the tournament. It was quite the spectacle as more than 30 children and nearly 100 adults, including parents, grandparents, extended family, family friends and siblings, observed the tournament. The tournament had beginner and advanced sections, and children played four games over two hours. 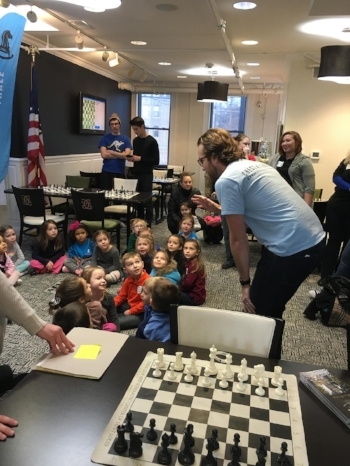 In between each game, the president of Chess at 3 (me, Tyler Schwartz) told a story called “The Cranky Princess” to the children, which taught them about “making plans.” Everyone was blown away by how well the tournament went and how comfortable these children felt with chess. These children are able to play chess because of a curriculum written by Chess at 3. The Chess at 3 core curriculum revolves around silly, engaging stories that explain to children why the chess pieces move the way they do. Take the bishops, for example. How do you teach a 3-year-old how a bishop moves? Up until recently, children have just been told that bishops move on a diagonal. There are two problems with this approach. The first is that children have difficulty pronouncing the word “diagonal.” The second problem is that the concept of a diagonal is too abstract for their minds to understand. The resulting frustration for students and teachers alike is the main reason chess is not taught to children at this age. Chess at 3’s core curriculum circumvents these frustrations with silly stories. Before bishops come out of the bag, Chess at 3 tells children a story about Bee and Bop, two brothers who work in the circus. Bee loves the color green, and Bop loves the color white. Everything about Bee is green – his clothes, his hair, even the food he eats, while Bop’s clothes, hair and favorite drink (you guessed it: milk!) are white. At night the brothers zip around the roof of their circus tent, which is decorated with green and white squares. After hearing the story, children effortlessly zip Bee across the green squares and Bop across the white ones. The children figure out how bishops “like” to move, and it was all because the information was communicated in a fun, relatable way. Now when these children hear the word “chess,” their faces light up – it is the most fun part of their week! The Goddard School and Chess at 3 began collaborating in 2014. Now more than 100 Goddard Schools use and love Chess at 3. The Goddard School’s philosophy is that children learn best by having fun, which is why it partnered with Chess at 3. The Goddard School is the first preschool chain to endorse Chess at 3. 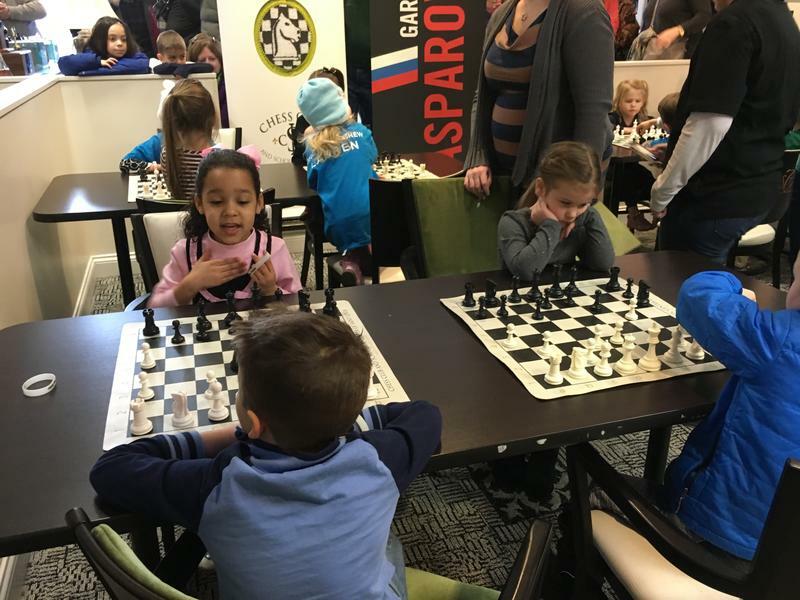 Chess at 3, The Goddard School and the Chess Club and Scholastic Center of St. Louis are all proud to be on the forefront of early childhood education and chess!